Do you ever wish you could start all over and take better care of your skin? A chemical peel could give you that chance. 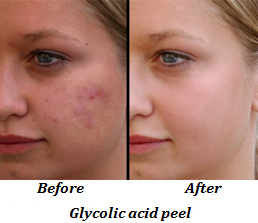 Peels can dramatically reduce lines, wrinkles, acne, scars, dark spots, and roughness caused by years of sun. “Everyday sun exposure affects skin quality. So almost anyone can benefit from a chemical peel, as they improve skin’s color and texture. The stronger the solution, the deeper the skin de-surfacing, and the more improvement we attain,” says David Green, a dermatology consultant. 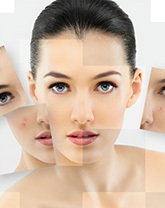 A chemical peel is an acid solution applied to the face to remove the outermost layer or layers of skin. The skin crusts, scales, and peels over several days. The new skin that grows in its place is softer, smoother, and has fewer imperfections. Doctors or other health care providers in doctors’ offices do medium peels. Deep peels, which can require local anesthesia and a sedative, are the purview of a physician. Medium peels use a solution that can soak in deep enough to improve skin in one peel, and mild versions are safe for use on the neck, hands, and other areas. You can repeat milder peels if your doctor says it’s safe. Deep peels use a solution that removes several layers of skin to address deep wrinkles, creases, uneven color, and some precancerous skin growths. You can only have one deep peel in your life. Medium and deep peels require a lot of recovery time, during which you take antiviral medication and stay indoors. After a medium peel, skin will be red and swollen for several days. The skin will then turn brownish and peel off in 7 to 14 days. After deep peels, the face is bandaged and takes up to 3 weeks to heal. During recovery, you soak your face several times a day. At all other times, the face is covered with ointment to prevent scabs and scars. 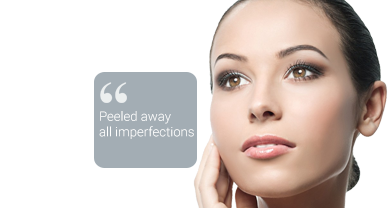 Medium peels can range from £500 to £1,500. Deep peels can cost £5,000. Not ready for a deep peel? Aestheticians in spas and doctors’ offices offer light peels that use ingredients found in many anti-ageing and acne products. Light peels take as few as 20 minutes, remove only the surface layer of skin, and require little downtime for recovery. The skin heals in 3 to 7 days, after some redness and flaking. You can get a series of chemical peels at about £50 taken over a few months to dramatically improve your skin condition.